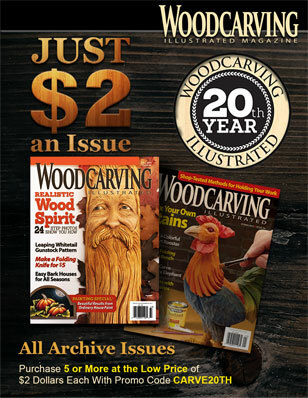 This version of this article was published in issue 67 of Woodcarving Illustrated. 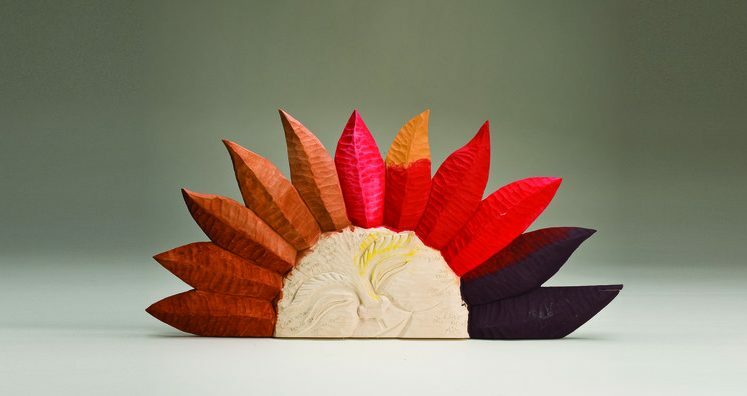 When you carve or build something for outdoor display, you want it to last, whether it’s a sign or a garden decoration. Ordinary indoor finishes will not stand up to rain or the sun, and even heavy-duty products will break down and will need to be reapplied. To stretch the years between maintenance, choose products that have a reputation for durability. 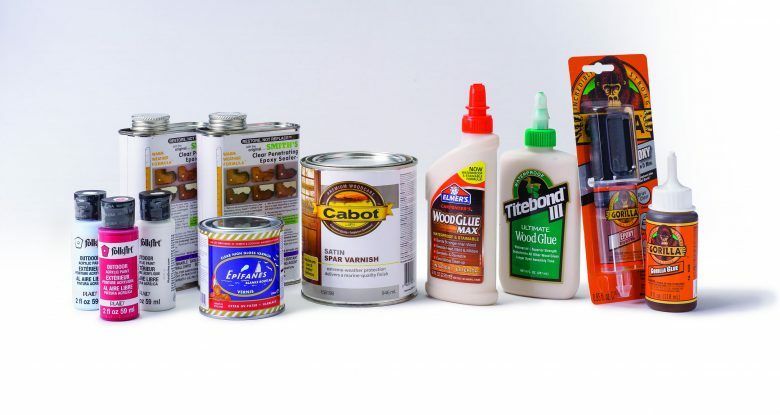 The best place to look for glues and finishes that withstand the elements is at marine (boat) supply stores. Watercraft are exposed to very harsh conditions, from abrasive salt water to punishing sun, so the products used to build them are designed to stand up to extreme abuse. 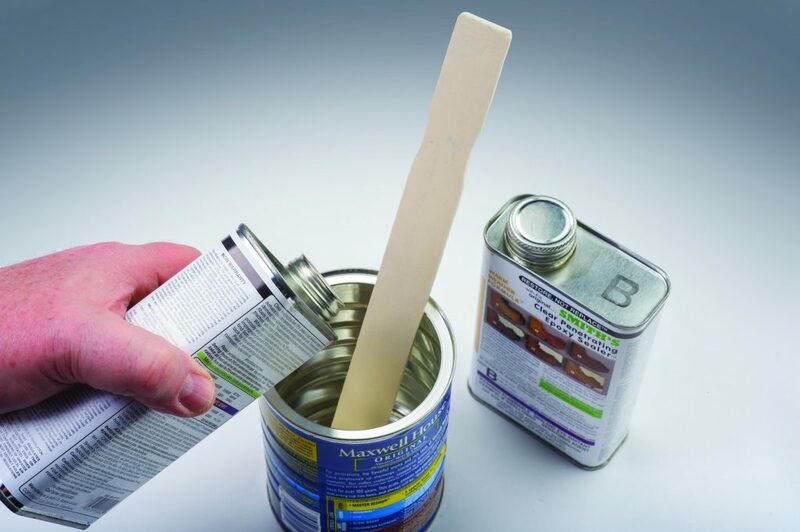 Most wood glues are water-based, which is why you can remove wet glue with soap and water. Unfortunately, over time, moisture will break down even dried water-based glue, causing the bond to fail. To combat that, companies change the chemistry of the glue to make it more resistant to moisture. Ultraviolet (UV) rays from sunlight can also break down glues over time. Titebond, Elmers, and Gorilla Glue each make pre-mixed glues of varying water resistances. The basic Elmers and Titebond are not waterproof at all. Titebond II and Gorilla Wood Glue are water resistant, and Titebond III is considered waterproof. Elmer’s Max and Gorilla Glue are both polyurethane glues, which are considered waterproof, but they require acetone or mineral spirits to clean up. To get stronger and more waterproof bonds, you must sacrifice the convenience of pre-mixed glues. DAP Weldwood plastic resin glue is an urea formaldehyde glue that comes as a powder you mix with water. Marine resorcinol glue, also available from DAP, is even stronger, but also must be mixed before using. Regardless of the glue you choose, outdoor joints will benefit from mechanical supports. Consider building interlocking joints, such as mortise and tenon, or reinforcing the joint with screws or nails so the glue doesn’t need to work as hard. The most effective outdoor finishes and glues must be mixed before using. 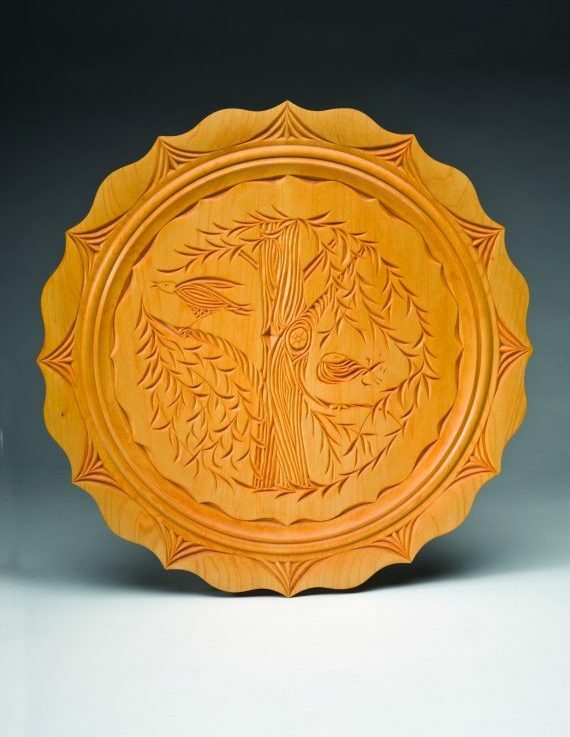 Often the durability of a finish depends on its thickness and how well it blocks UV rays. Because wood expands and contracts depending on the seasonal moisture changes, a finish must remain flexible. UV rays break down the finish so it can no longer flex, so it cracks instead. When the finish cracks, moisture can get into the wood, which speeds up the deterioration. 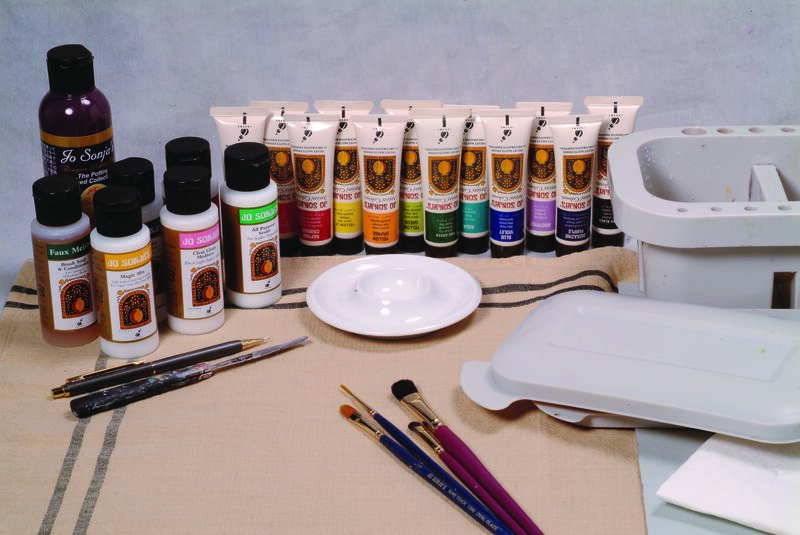 A properly primed exterior oil paint is the longest lasting choice for outdoor projects, although there are a few options for a clear finish. Clear finishes will, however, need to be reapplied on a regular basis. Spar varnish is the most durable varnish finish because it includes chemicals that block UV rays. Several companies make spar varnish. While the chemical compositions of the varnishes vary, the thickness of the application determines its durability. 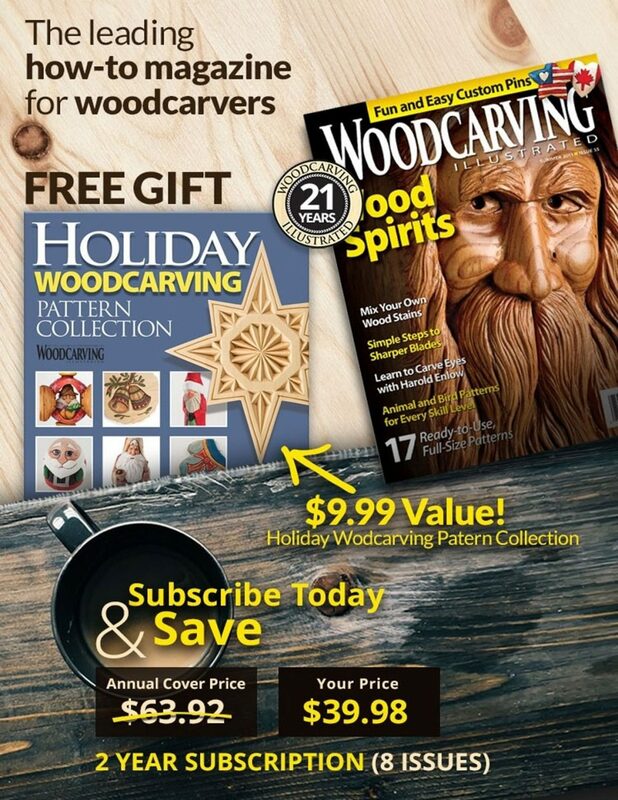 A few years ago, Fine Woodworking magazine did extensive testing of clear outdoor finishes. They found that clear penetrating epoxy sealer (such as Smith & Co.’s CPES) under a high-quality spar varnish, such as Epifanes (www.Epifanes.com) lasted the longest. According to Steve, the best way to maintain a proper thickness for the varnish, after sealing the wood with a penetrating epoxy, is to use a quart of varnish for each 20 square feet of wood. If you use Epifanes and CPES, Steve says that when you go to refresh the finish with another coat of varnish after five years, you can double the coverage area of that quart to 40 square feet. If you don’t use Epifanes and CPES, how often should you renew the finish? According to Steve, when the varnish no longer looks glossy, it’s starting to break down. When most of the gloss is gone, it’s time to reapply the finish.